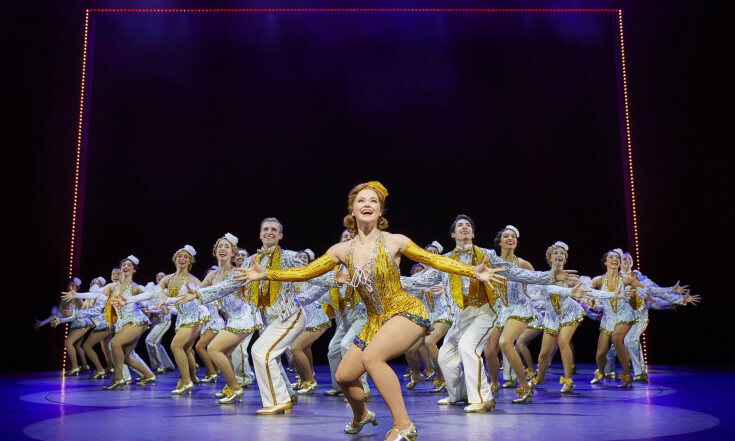 The second massive New York import in less than a month, 42nd Street brought its lullaby of Broadway to the Theatre Royal Drury Lane last night. 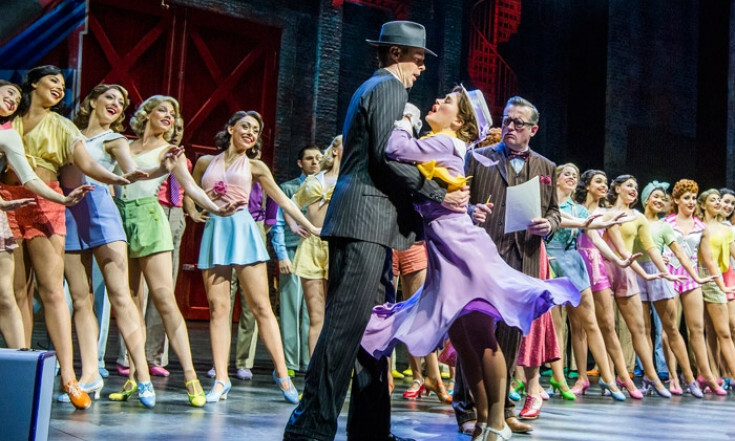 In addition to their transatlantic journeys, An American in Paris and 42nd Street are both dance-based shows – with big budgets (£8 million is the word on the latter), huge casts and stunning designs – that have won over critics in dramatic fashion. And yet, they’re very different beasts, as many note this morning. 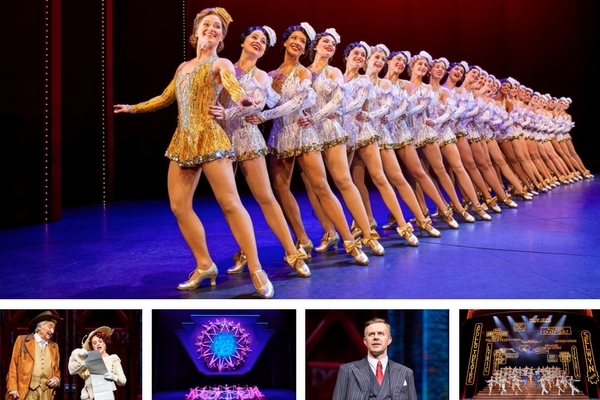 42nd Street is the mother of all tap musicals and, with a staggering 55-strong ensemble of hoofers, even the most dubious seem to have been pummelled into blissful submission by the sound and the spectacle of this new production, helmed by its co-author Mark Bramble. 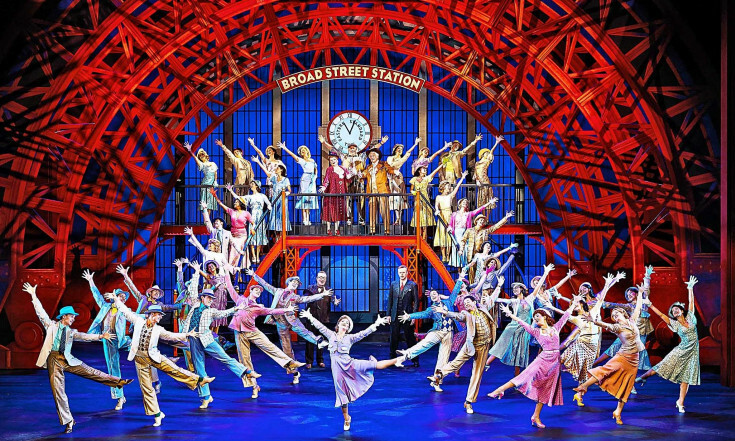 42nd Street is billed as an American dream fable of Broadway. 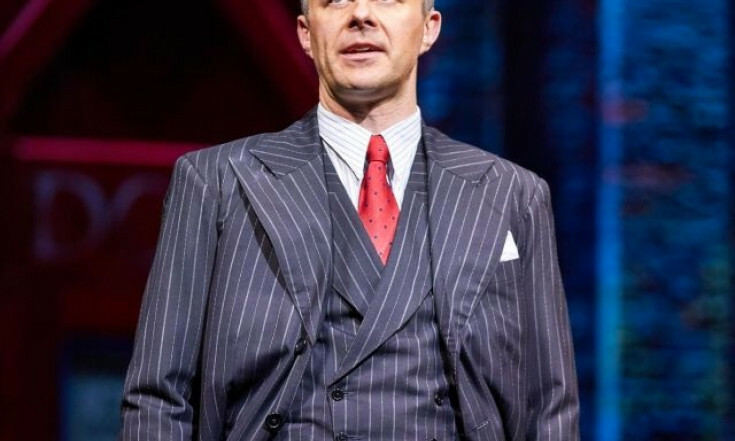 When director Julian Marsh (Tom Lister) falls on hard times, he gambles on one last big show, which stars headliner Dorothy Brock (Grammy Award winner Sheena Easton, making her West End debut) and, waiting in the wings, hopeful young chorus girl Peggy Sawyer (Clare Halse). 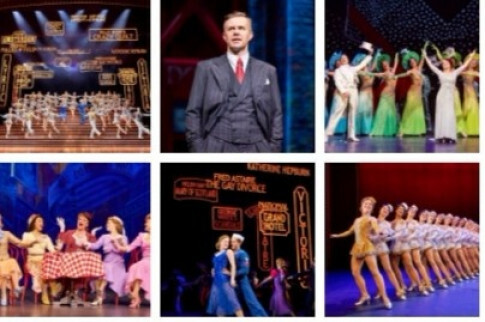 The show’s many hit songs include ‘We’re In The Money’, ‘Lullaby of Broadway’, ‘Shuffle Off To Buffalo’, ‘Dames’, ‘I Only Have Eyes For You’, and ‘42nd Street’. 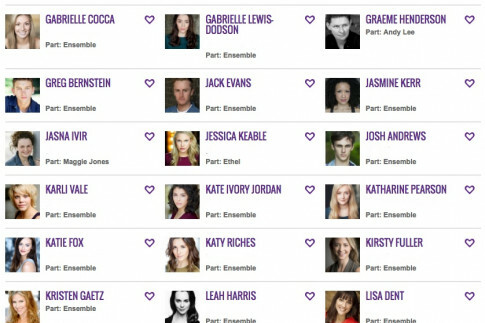 The cast also features Bruce Montague, Norman Bowman, Jasna Ivir and Stuart Neal. 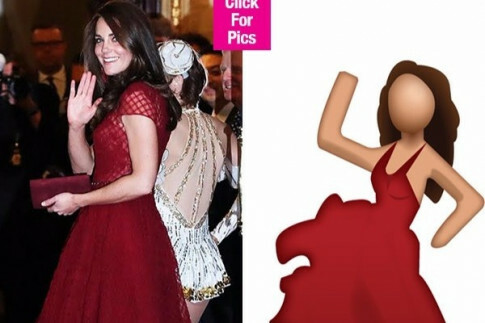 I’ve rounded up key overnight reviews below as well as a smattering (seriously, just a few) of the avalanche of articles about the Duchess of Cambridge (Kate Middleton) in her red dress on the red carpet and accepting a pair of tap shoes at the curtain call, plus recent interview features and tons of social media buzz which you can peruse via my other site, StageFaves. 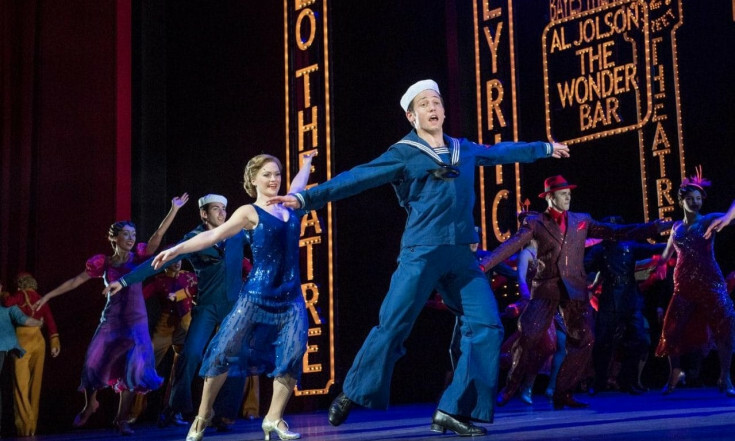 42nd Street is at the West End’s Theatre Royal Drury Lane. 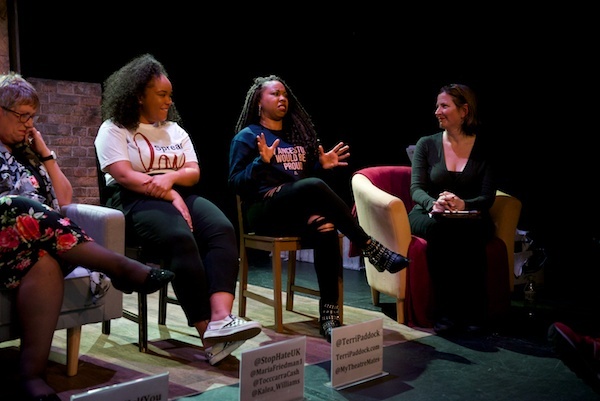 Fiona Mountford: This production by co-author Mark Bramble is all about the spectacle rather than the story. 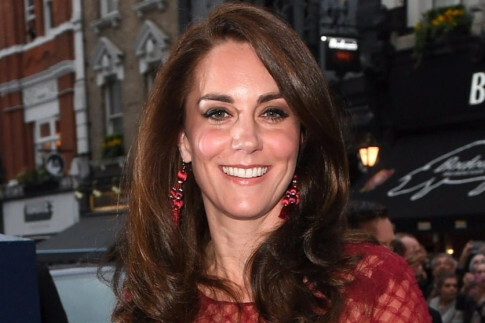 Luckily, there’s a superabundance of spectacle to revel in, as an impeccably-drilled cast of more than 50 tap up a continual storm to some very tuneful songs. 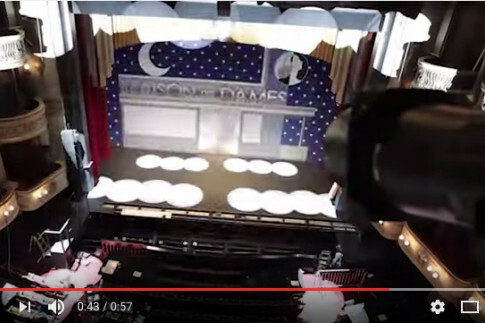 Particularly delightful is We’re in the Money, a glittery number in gold sequins in which the dancers go to work atop large model dime coins… Unfortunately, little of import appears to hang on the fate of the show within the show, Pretty Lady. We get lengthy, drifting excerpts from this seemingly entirely logic-free piece and, despite the tapping, our spirits begin to flag. 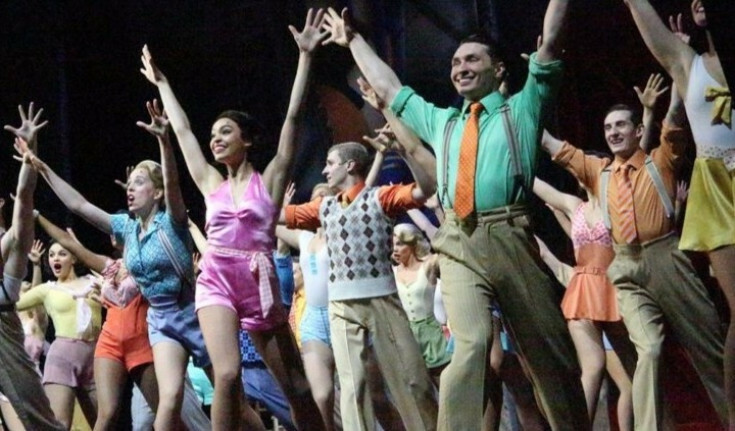 Tim Bano: 42nd Street, the ultimate backstage musical, is a blunt force trauma of a show. It roars where others purr… And it’s an extraordinary thing, crammed with songs by Al Dubin and Harry Warren, full of the sound and fury of tapping feet, illuminated by dazzling colour. So much so, in fact, that it’s easy to ignore the fact that by interval time nothing has really happened… When that army of dancers gets going, when the rows of lights start twinkling and tap shoes hit the bleachers extending towards the audience from the back of the stage, it’s simply, overwhelmingly, stunning. 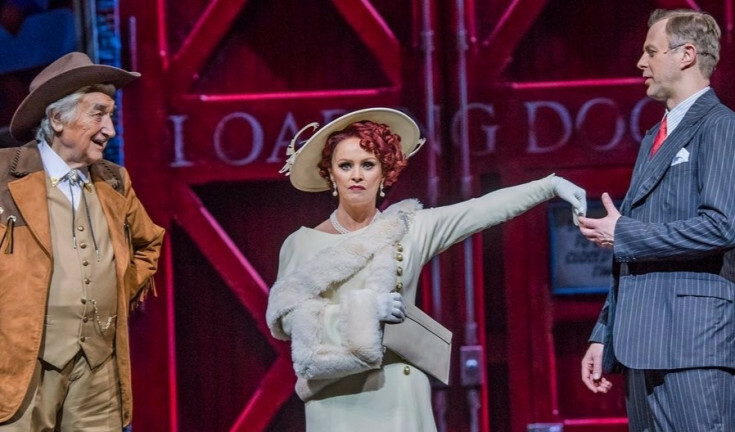 Ann Treneman: This is an old-fashioned glamour musical that keeps on giving when others would have called it quits… It’s the classic rags to riches story but the plot, frankly, is wafer thin… It’s a pleasure to sit back and soak up the sets, which are sumptuous. 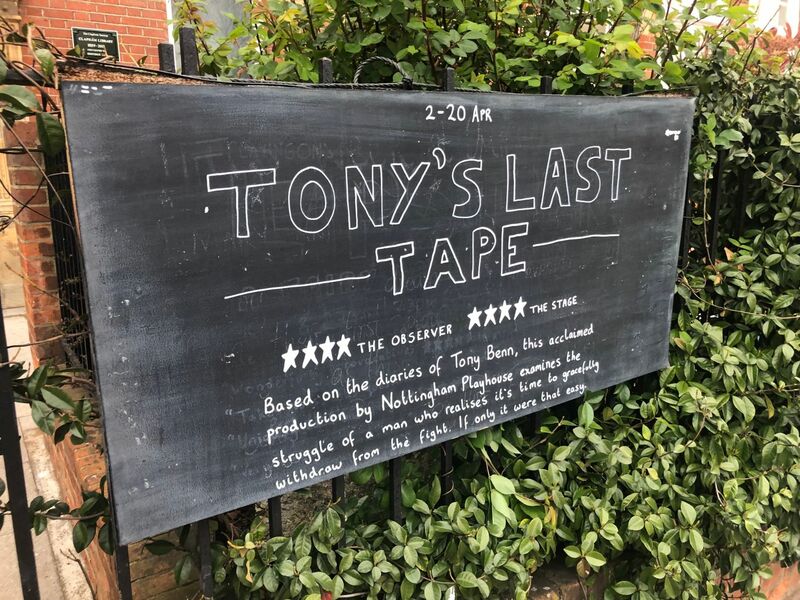 Nothing has been too much trouble for the designer Douglas W Schmidt… The dancing is the star of this show but Easton, Halse and Tom Lister, solidly good as Julian Marsh, impress. Even at the end, just when you think it’s over, you discover there’s another high-kicking high-energy number on the way. It’s more, more, more-ish, this one. 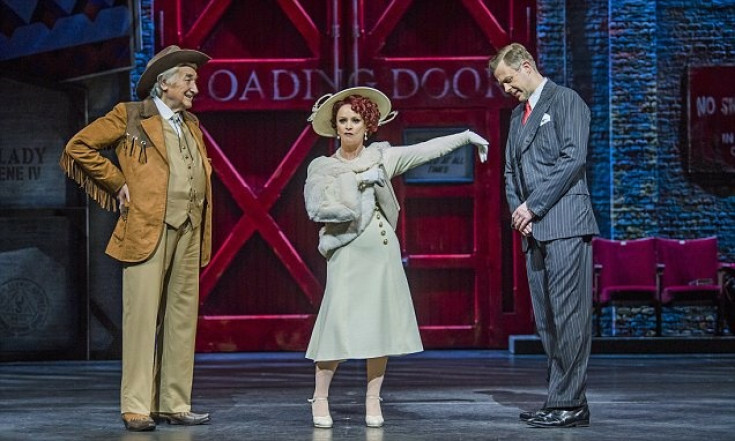 Quentin Letts: Here is London’s second big American-throwback musical in a month and it is another winner… The yarn – unknown dancer rescues Depression-era Broadway show and becomes a woman in her own right – was revived as a New York stage musical in 1980, its appeal being chorus-line nostalgia. Showgirl legs, we got ’em. 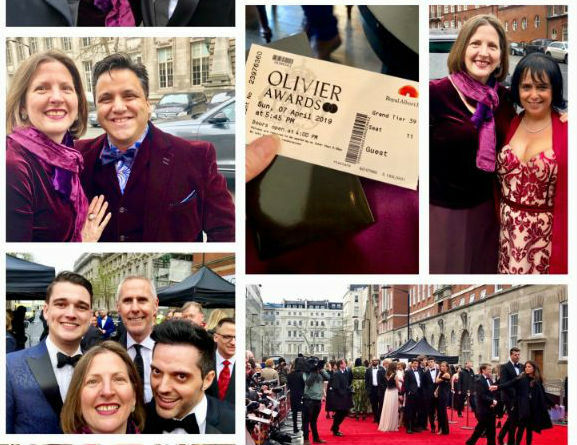 One almost expected Theresa May and Nicola Sturgeon to come hoofing in from stage right and left… The chorus line is enormous – the producers must have invested a fortune. Such ambition is too rare on the West End these days. 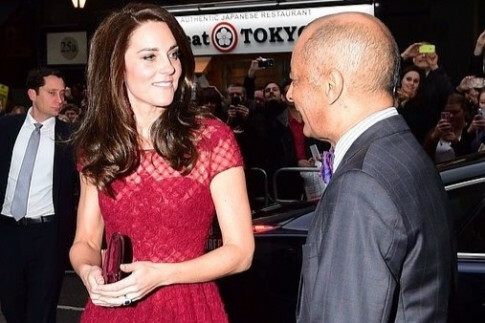 Dominic Cavendish: It’s an extraordinary, spine-tingling sound. 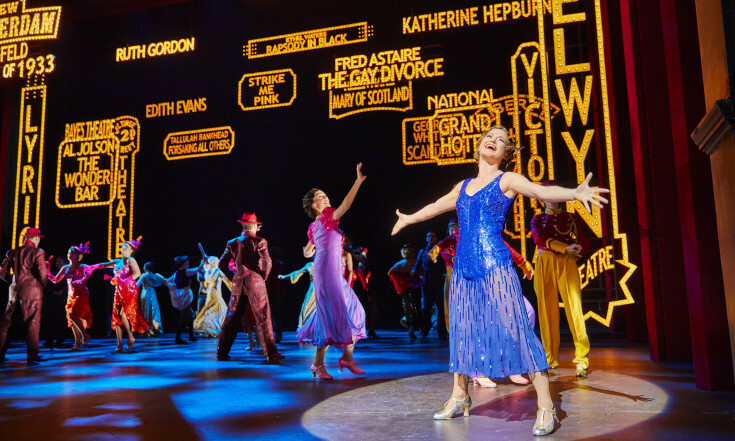 If you don’t like tap-dancing, run for the hills: 42nd Street is the tyrannosaurus rex of tap… It’s miles apart from Hamilton in terms of diversity, too – almost the un-reinvention of the musical… But that’s its charm. I loved it in the way one can’t help loving achingly beautiful things. It has tremendous spirit and gorgeous technicolour… The garlands belong to the ensemble, dancing on the spot as if gliding on ice, wind-milling arms furiously yet gracefully. 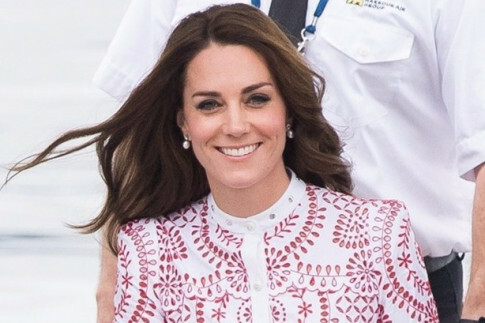 An American classic right royally revived. Michael Billington: If you like musicals staged with machine-like precision, then this is the show for you. 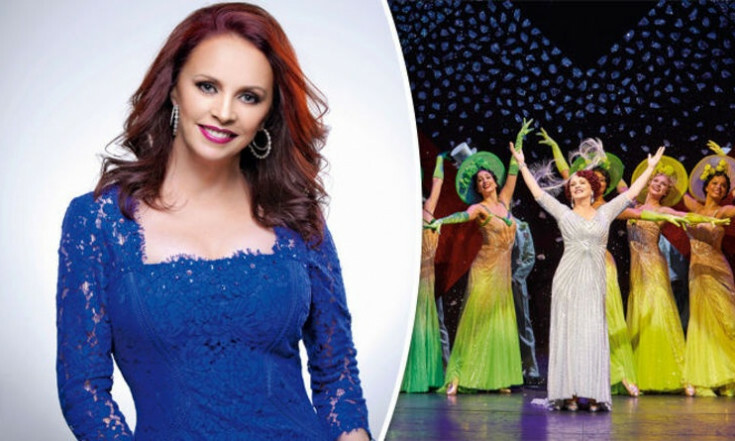 But however welcome it is to see Sheena Easton on stage – and the dancing is excellent – there is something curiously heartless about this revival of a musical first seen on Broadway in 1980. In all honesty, I’ve been more moved by a military tattoo… The energy displayed is remarkable but there comes a point when one craves a little humanity… While I’ve admired this show in the past, the current version feels more like a savourless replica than a re-imagined revival. 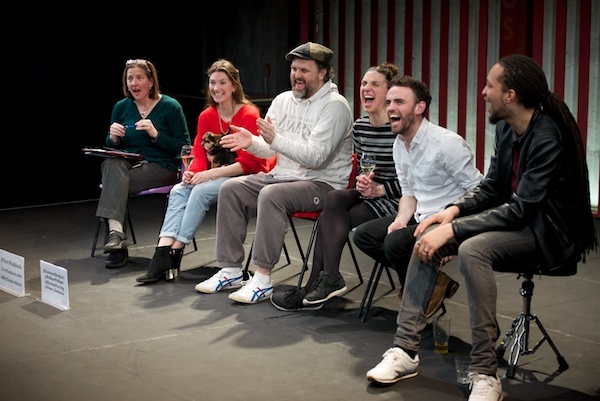 Alice Saville: This show socks you over the head with good old-fashioned spectacle. In an era where most homegrown musicals rely on a couple of all-purpose sets and some moody lighting, it’s dazzlingly lavish and bright. The huge tapdancing chorus fill the stage in glitter-tastic costume after costume, and perform kaleidoscopic dance routines that resemble the hallucinations you might get after drinking absinthe in a Tiffany showroom. Matt Wolf: When it comes to the sheer synchronised splendour accompanying an army of hoofers in fully unbridled flow, this production is hard to beat… The point here isn’t individual revelation (or even consistency) but, instead, the rarely-encountered sight and sound of a mercilessly drilled ensemble all but knocking themselves out to deliver the goods… This “lullaby of Broadway” more or less pummels its public into blissful submission. 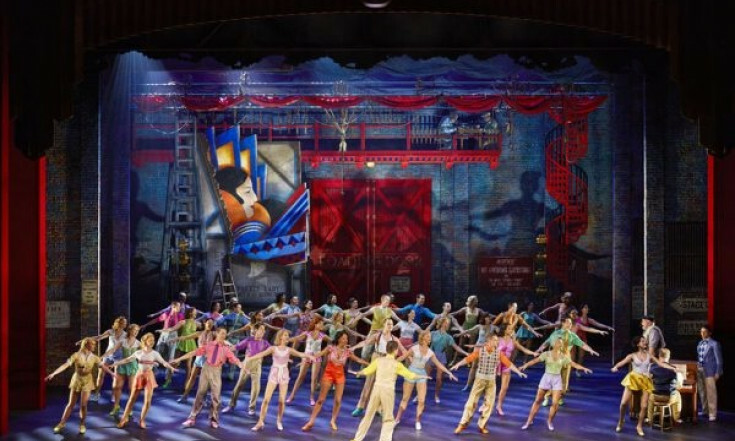 Jonathan Baz: 42nd Street is a feast of musical theatre. 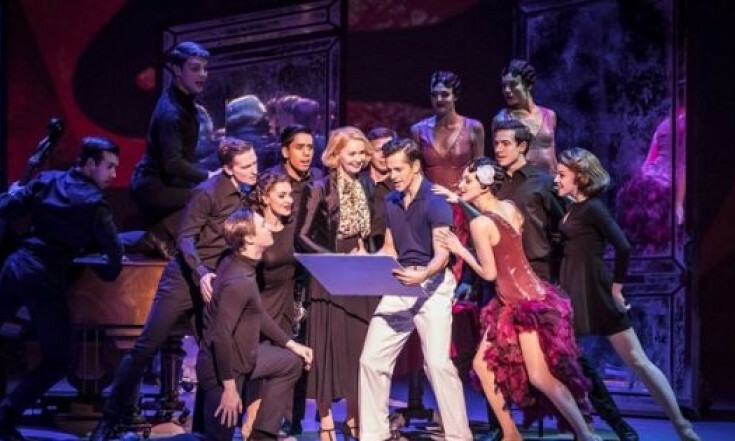 This revival of the 1980s show, itself inspired by the 1930s recession busting movie of the same name, is nothing less than a homage to Busby Berkeley’s lavish Hollywood tap routines, framed around a fairytale of Broadway… What makes this show pulse with life is its dance. 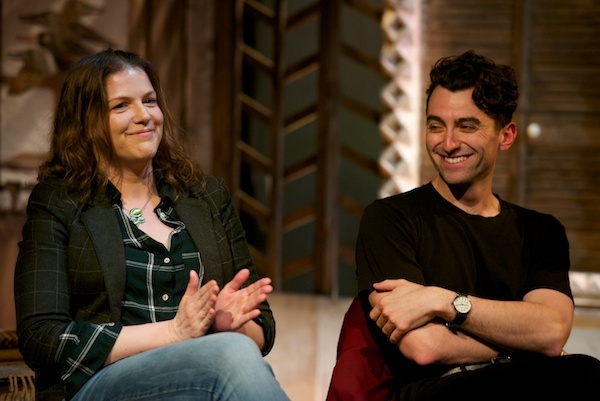 All credit to the two Michaels, Grade and Linnit, who’ve produced the revival – their 55 (yes 55!) strong company is simply breathtaking. Polly Sisley: The larger group numbers such as ‘We’re in the Money’ and ‘42nd Street’ are in sync to military precision, which is wonderful if you are able to brush off the evident lack of diversity within the show… All eyes are on Sheena Easton in anticipation to find out whether she has anything in common with the past-her-time Dorothy Brock. Demonstrating a great vocal range and a knack for comic timing, Easton certainly delivers. Marianka Swain: The plot might centre around a leading lady battle, but this loving backstage fairy tale is really a paean to the chorus – the hard-working foundation upon which musical comedy (“the two most glorious words in the English language,” per the show) is built… Who can resist a veritable army of beaming dancers tapping up and down a golden staircase, or such iconic lines as “You’re going out a youngster, but you’ve got to come back a star!”… Escapist fare, yes, but I predict happy feet and even happier audiences. Peter Yates: If your thing is being engulfed by a forty-plus-strong chorus line as it bashes out its spectacular tap-athon then this is undoubtedly the show for you. If it’s not your thing then I would suggest it is still the show for you because we don’t get to see this kind of dance extravaganza very often these days – mainly because no one can afford it. The word is that this production cost £8 million to stage and you certainly come away believing that no expense has been spared. 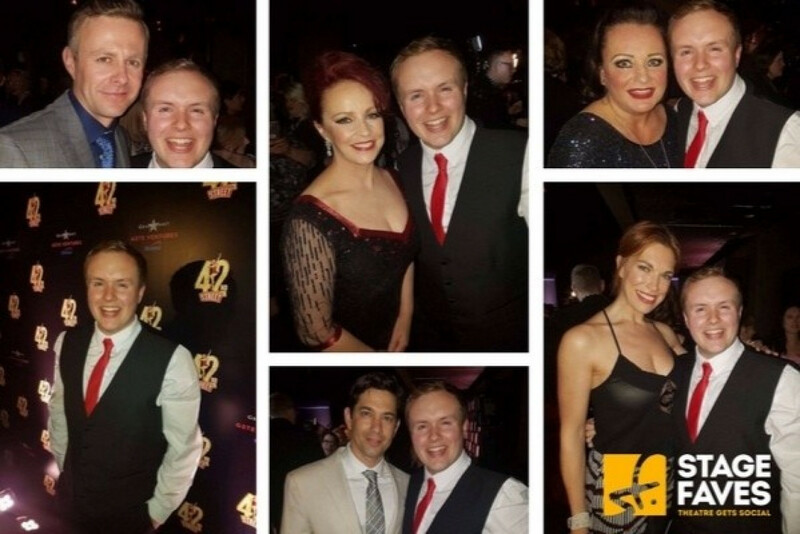 On my social media directory site, you can get full social media for 42nd Street and all of its – MASSIVE – cast, plus other great content including the following.